The penthouse includes three bedrooms and large open floor living spaces, a full sized kitchen, three fireplaces and one more on the large terrace, where you will also find lush gardens, living and dining areas and a spa pool. Image courtesy of Nikolas Koenig. 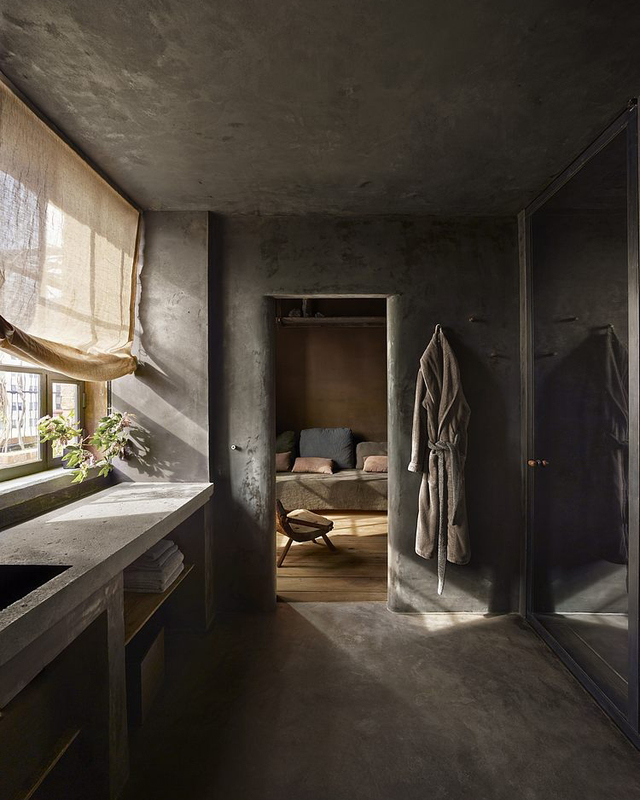 Along with antiques, Vervoordt has chosen a lot of local materials, such as stone and reclaimed wood, that are used in custom-made furnishings. Image courtesy of Nikolas Koenig. 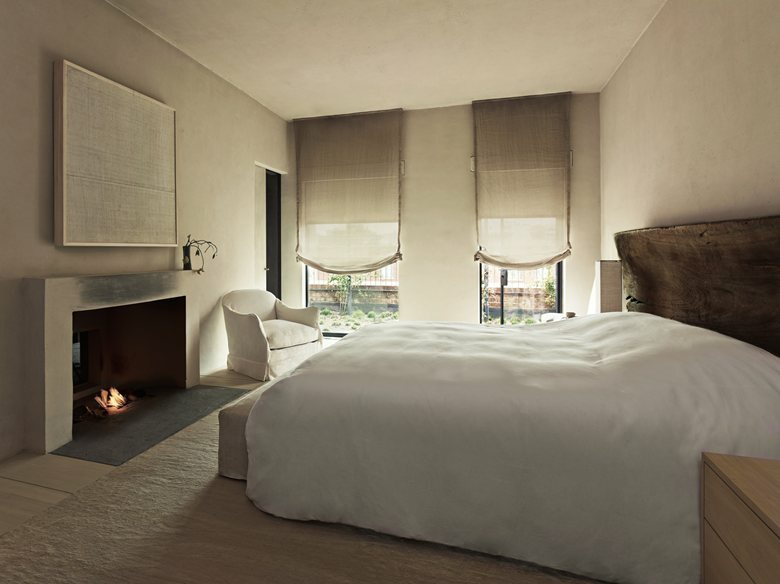 Created with their signature Wabi style by designer Axel Vervoordt and architect Tatsuro Miki, the giant penthouse at the Greenwich Hotel in TriBeCa, New York, is like a dream. Even more than the hotel’s visuals online, I fell in love with the details in Garance Doré’s photo story posted two years ago. You might have come across the same images, they are everywhere, and for a good reason.